Are you an advanced kitesurfer? Do you want to get away from the beginner zone so you can practice without worrying about other riders? 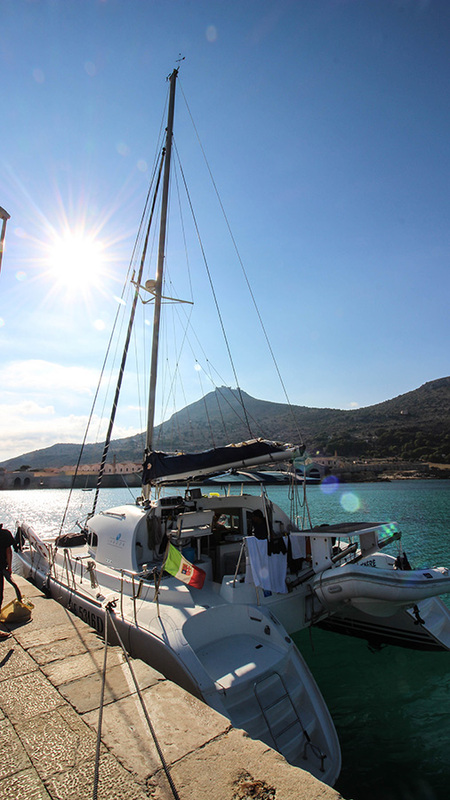 Would you like to spend a few days far away from the crowded beaches and enjoy your time on a beautiful boat? If so, then this is your perfect getaway! Nature, peace and quiet, endless space for kiting and full service on board. 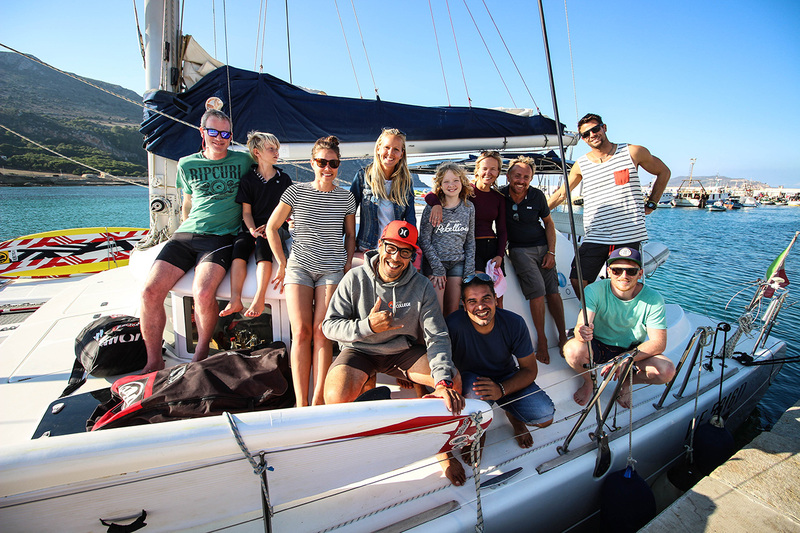 Book your Catamaran Trip with us! We do love kitesurfing, but we have to admit that these long kitelines, can be really annoying sometimes. Probably you all had a few tangles and small accidents because the kite beach was overcrowded. 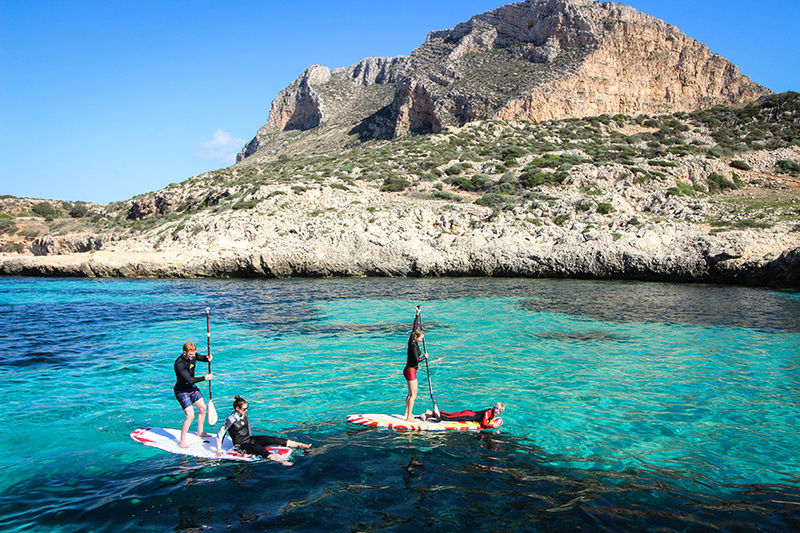 A Kite Safari gives you the luxury of having the sea for yourself. You don’t have to watch out for other riders, you can jump and turn wherever you feel like! 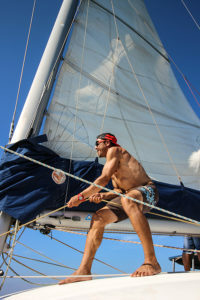 What’s more: with a boat you don’t depend on the wind direction so much. 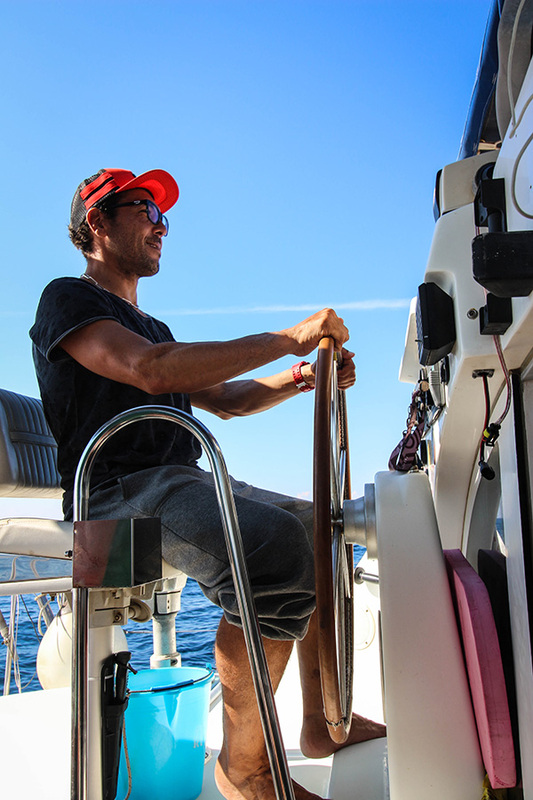 You can check the forecasts with the skipper and decide which spot is the best for the given conditions. 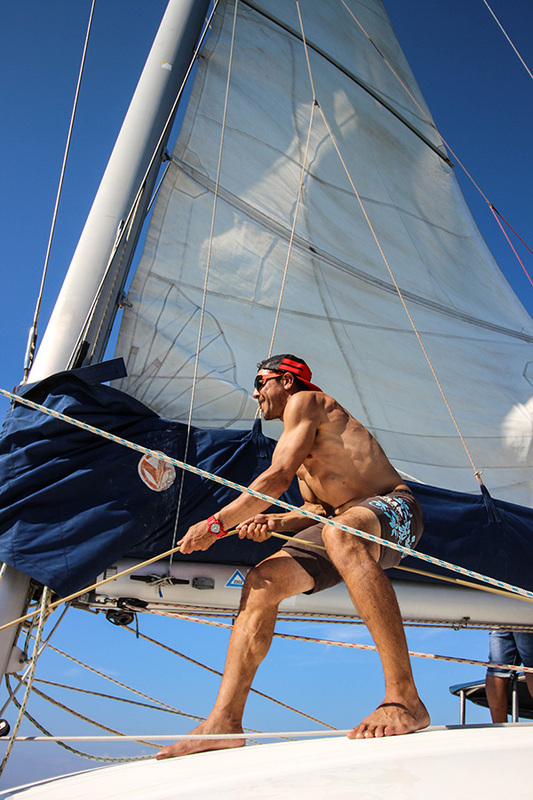 The Catamaran will follow the wind anywhere! A boat trip can be fun for non-kiters as well. You can bring your friends/family and spend some quality time together. Snorkel and paddle gear is provided, or you can simply enjoy sunbathing on the deck and feel the ’dolce far niente’. 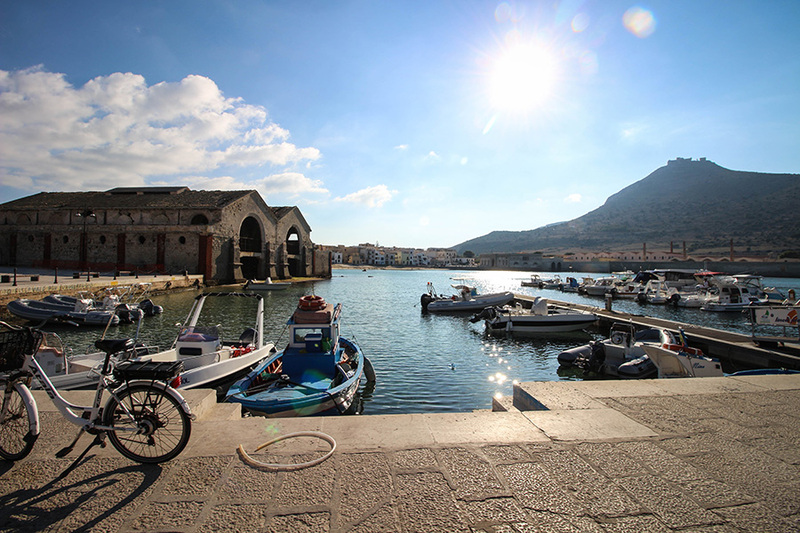 Depending on your wishes, you can do some sightseeing during the day, stop at the famous Favignana Island for some coffee and shopping or discover the breathtaking Golf of Castellamare. 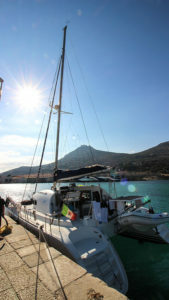 The 12 meters long Catamaran (Lagoon 380) has 4 cabins (8beds), 2 showers, a kitchen and a diner. Among the crew members there will be an experienced kitesurf instructor, who can help you with launching and landing your kite, and the skipper, who also happens to be a great chef. He will make sure that you try the typical italian cuisine as its best during your cruise. 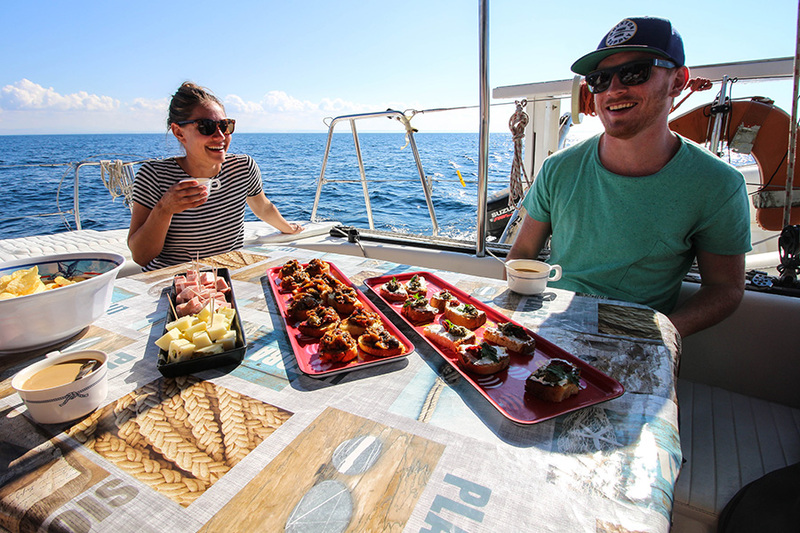 For Kite Safaris the Catamaran is mainly available in off-season (April-May and September-November), but for one day snorkel trips you can also book it during the summer months. Please contact us for more details, if you are interested! 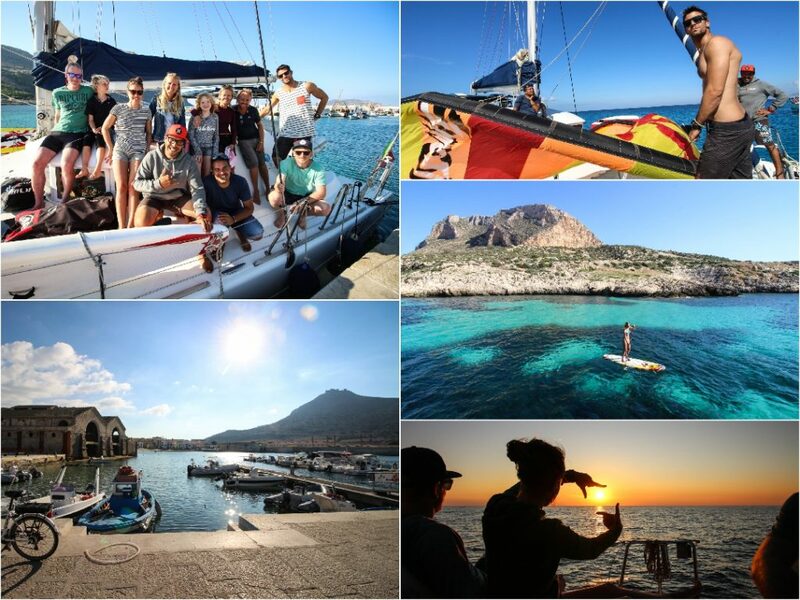 We guarantee you an unforgettable experience in Sicily!